Infosys was up 2.4% to Rs 945 on BSE in intra-day trade, extending its 3% gains of the past three trading sessions, after the company fixed November 1, 2017 as record date for share buyback. “The Buyback Committee has approved and fixed Wednesday, November 1, 2017 to be the Record Date for determining the entitlement and the names of the equity shareholders, to whom the Letter of Offer will be sent and will be eligible to participate in the buyback which was approved in the Board Meeting on August 19, 2017,” Infosys said on Monday after market hours. 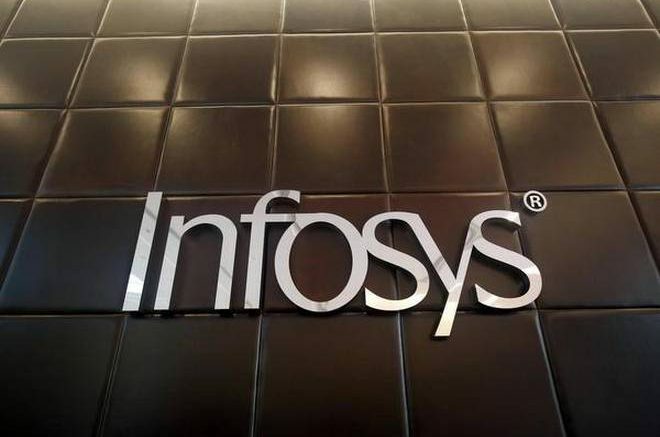 The board of Infosys had announced share buyback of Rs 13,000 crore at Rs 1,150 per share from all equity shareholders of the company on proportionate basis through the tender offer. The record date for the payment of interim dividend would also Wednesday, November 1, 2017, subject to declaration of interim dividend by the board of directors of the Company in their meeting to held on October 24, 2017, it added. Shareholders whose names appear on the Register of members/list of beneficial owners as on November 1, 2017 will be eligible to participate in the Buyback offer and will also be eligible to receive interim dividend. Since August 16, the Infosys intimated a board meeting to consider proposal for buyback of equity shares, the stock had underperformed the market by falling 8% as compared to 0.37% decline in the S&P BSE Sensex till Wednesday, October 4, 2017. Meanwhile, analyst at Kotak Securities expects Infosys will report constant currency (c/c) revenue growth of 2.3% and cross-currency tailwind of 80 bps in July-September (Q2FY18) quarter. “We have assumed a lower c/c tailwind based on assumption of lack of forex gain and We expect EBIT margin to decline 50 bps due to wage hike (80 bps impact) partly offset by cross-currency tailwinds and lower visa costs,” the brokerage firm said in Q2 earnings preview. “We expect Infosys to lower guidance to 6-7% c/c revenue growth from 6.5-8.5% and maintain 23-25% EBIT margin guidance. The cut in revenue guidance will be on account of lack of pick-up in financial services spending and disruption to the business caused by departure of the CEO. The likely revised guidance range implies marginal growth in 2H on sequential basis,” added report. At 10:11 AM; Infosys was trading 1.5% higher at Rs 938 against 0.25% gain in the benchmark index. A combined 1.74 million shares changed hands on the counter on the BSE and NSE. Be the first to comment on "Infosys extends gain on fixing record date for share buyback"